Pform.nz inspires students to learn and grow. We offer dance, drama & performing arts classes to teens and children between the ages of 4 and 13. We help you build confidence and have fun encouraging you to come out of your shell by having you collaborate. 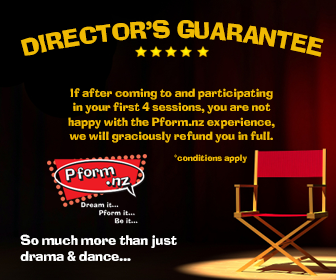 We currently offer classes all over Auckland. Join our performing arts classes in Parnell to see what all the song and dance is about. We hold classes once a week in the Performing Arts room at Parnell District School. You can find Grace on site on Mondays between 3:30 and 6:30pm during term time. You can find Grace at Parnell District School, 48 St Stephens Avenue, Parnell. We are through the gates, across the courtyard in the performing arts room.